We’re excited to announce the launch of the Library of Creative Sustainability during Climate Week 2018: a new digital resource showcasing best practice examples of collaborations between sustainability partners and artists seeking to make the world a better place! 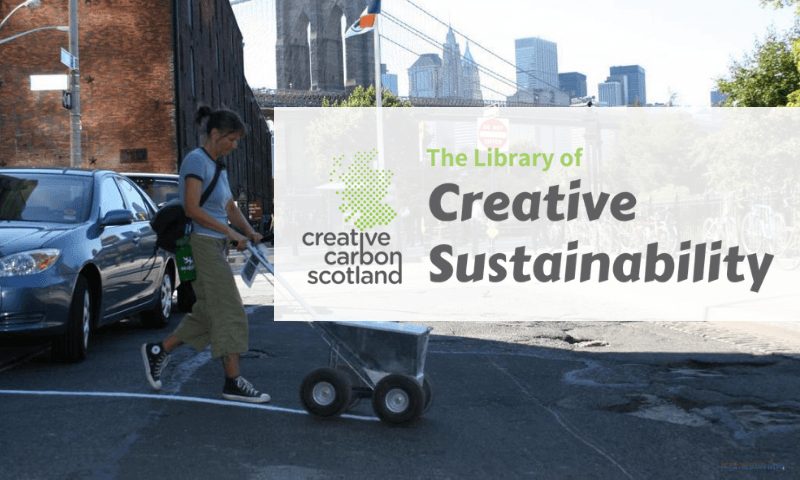 The Library of Creative Sustainability is a new digital resource for people working to address the challenging issues of environmental sustainability and climate change, demonstrating the benefits of collaborating with artists and cultural approaches to help achieve their aims. Taking its inspiration from the work of American civic artist Frances Whitehead and the Embedded Artist Project, and many other contemporary and historic examples, the library presents case studies highlighting the range of skills, expertise and practices which artists have contributed to bringing about positive change in society – addressing social, environmental, economic and cultural sustainability. In developing the Library we have spoken with users working in diverse fields including energy, local government, natural heritage and forestry to help us develop content relevant and applicable to the interests and needs of non-arts sectors, and have researched case studies with the aid of many of the featured artists and organisations. What is an Embedded Artist? It is widely recognised that artists across all artforms can bring new insight and alternative perspectives to non-arts contexts. 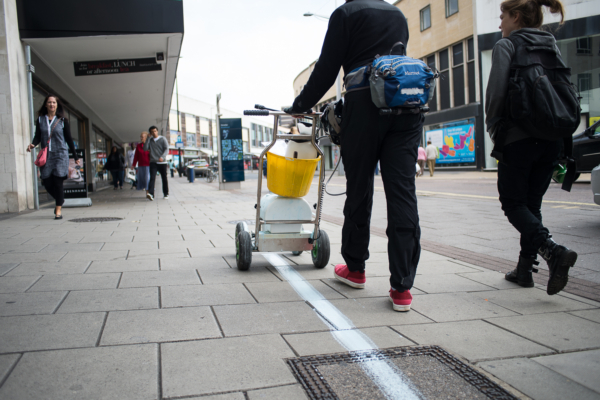 This is shown in exhibitions and performances, and also in artists’ processes working with organisations and communities. Artists can bring the perspective of the ‘stranger’, being able to see with fresh eyes and question things often taken for granted. Working within non-arts institutions over extended periods – this requires organisations to be comfortable with ambiguity and not starting with fixed outcomes. It was important to allow time for the ideas to develop. Bringing different ways of thinking and working to bear on challenging projects such as large-scale regeneration of post-industrial sites. Creating artworks is not the focus of projects, although may be an aspect of the outcomes. Highlighting an integrated approach, ensuring that environmental and social sustainability are considered alongside economics. Facilitating wider public participation and breaking down professional, departmental and disciplinary boundaries. Keep an eye out on Twitter, Facebook or Instagram for the latest updates and help to share case studies with your networks! This is just the beginning! We will continue to research and regularly publish new case studies with another round of examples on its way very soon. We are actively seeking suggestions for new case studies from sustainability and arts practitioners about projects you are involved in or are aware of that could become part of this growing resource. We would also love to hear about your experience of using the library so that we can continue to make improvements to its functionality. Please get in touch with Gemma Lawrence, culture/SHIFT Producer, Creative Carbon Scotland. 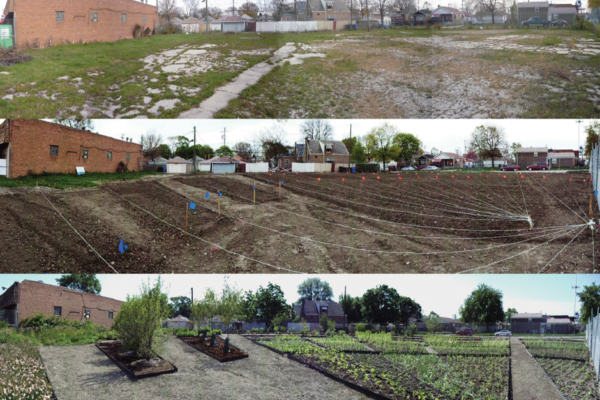 The Library of Creative Sustainability has been developed in collaboration with Senior Researcher Chris Fremantle (Gray’s School of Art, Robert Gordon University) with the support of Allison Palenske, Elly White, and Niamh Coutts. We are grateful to all of the artists and organisations who have kindly contributed their time to the development of library case studies. The project has been supported by Interface and the Scottish Funding Council.